Planning things to do in Akumal? Well, aren’t you the lucky one! My guess is that you’re bubbling over with excitement for your upcoming trip. Akumal is the shimmering glimmering picture-perfect destination of the Riviera Maya. Celebrated for its unrivaled beaches, vibrant marine life, and GREAT location, you’ve really outdone yourself by choosing to have your next vacay here. In this blog, I’m about to give you some local insight into things to do in Akumal – the creme de la creme! Because I can’t contain myself any longer. Let’s go! 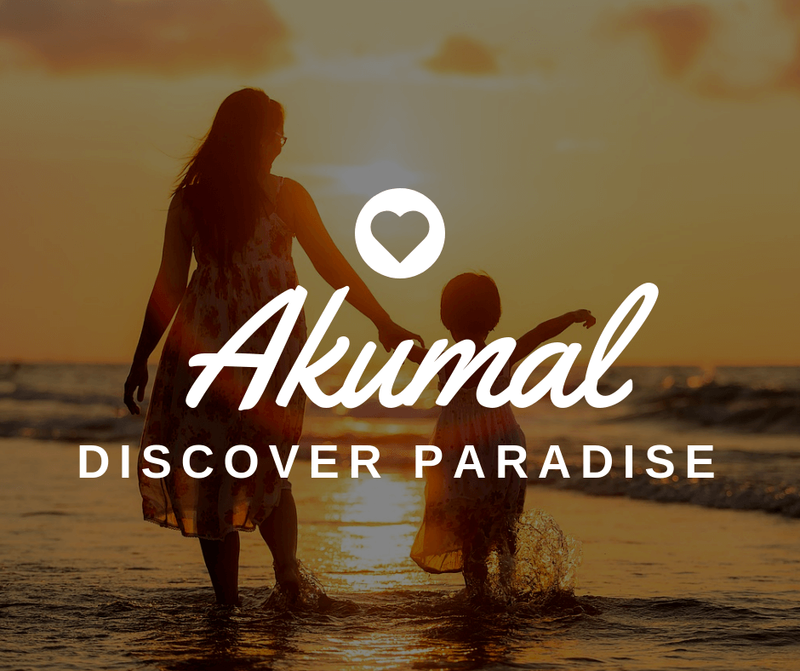 Things to Do in Akumal – Discover Paradise! Sea you at the BEACH + free things to do in Akumal. Monkey around at the animal sanctuary. Swim in a Cenote + Aktun Chen! Mayan Ruins and Snorkel (with Sea Turtles if you’re lucky). Get Steamy at a Temazcal Ceremony. 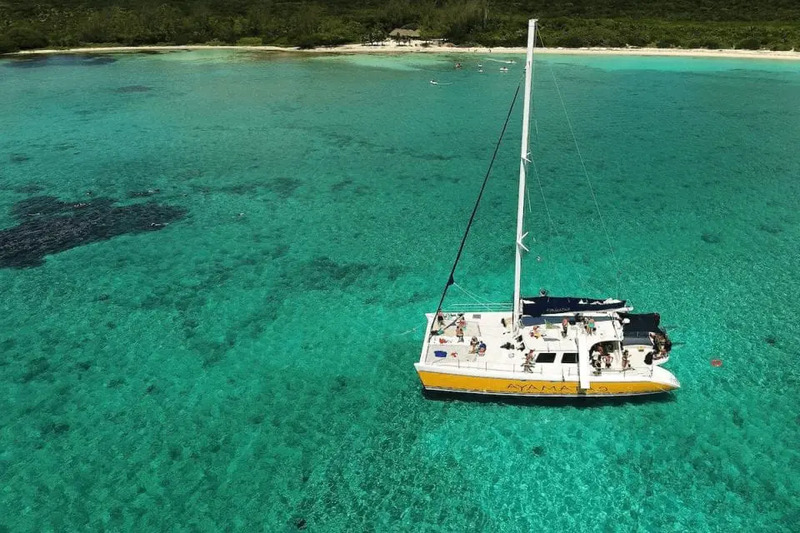 Set sail on a Catamaran – view the coastline from a new perspective. Things to do when it’s raining in Akumal. Researching your destination is what turns a great trip into an unforgettable one. Know your stuff! Luckily you found us, and we’re the experts when it comes to navigating this region. The best things to do in this region (in my opinion) are FREE! In a world where we have to pay for the privilege of existing Akumal offers a blissful escape. Get ready to unwind on what TripAdvisor voted as some of ‘Mexico’s most beautiful beaches’. It costs you nothing to feel the powdery white sand between your toes, or the lull as the waves as you float in the turquoise ocean facing the sun. You can already envision yourself there, can’t you? I know I can. I live for weekends in Akumal. 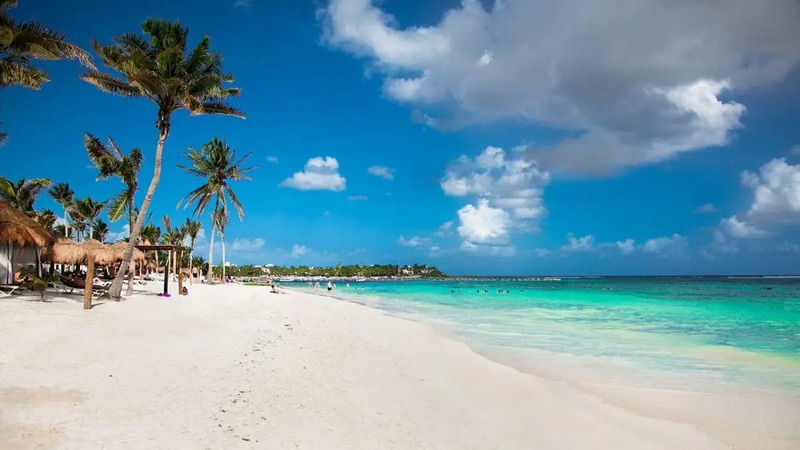 What’s more is the beaches in Akumal are wide in comparison to neighboring towns which means even in peak season they never feel overcrowded. There are 3 main beaches and bays in Akumal to check out while you’re here. Central Akumal Beach – lined with beachside shops, restaurants, dive shops, and homey beachfront accommodations. Jade Bay – a residential area. There’s nothing stopping you from packing your best snorkeling gear and exploring what lies beneath the beautiful crystal clear waters for yourself, it’s the perfect way to cool off. Akumal is celebrated for having a vibrant marine life. It’s great if you’re a beginner because it gives you a chance to practice your skills in the shallows. Once you’ve built up your confidence, why not head out on a boat to explore the second largest coral reef in the world (more on that later). Don’t worry if you do forget your snorkeling gear, there will be some available in the shops in and around Akumal. Love animals? Look no further. Akumal’s animal sanctuary is a place where you will find a wide variety of animals, including MONKEYS! The main goal of this rescue center is making sure the rescued and donated animals receive the necessary care and attention they need for a full recovery. Many of the animals living in the sanctuary come from very poor conditions working for circuses and other attractions. Not only is this a fun activity for you and your family you will also be helping the environment and wildlife in the area too. Donate and visit their website here! Nothing quite beats seeing monkeys roam around freely in the treetops above your head. Have you heard the word cenote? Here’s what it means. They are visually spectacular sites unique to Mexico that should be on everyone’s bucket list. Formed millions of years ago, they were once considered by the ancient Maya to be portals to the netherworld, these days, they provide the best freshwater swimming areas for people like you. With their transparent waters and lush settings, there’s no better place to relax and have some fun. Limestone Cave Complex – marvel at a 5 million-year-old cave in the depth of the forest, once used by ancient Mayans to perform their rituals. The cave ends with spectacular cenotes where you can take a refreshing swim in its holistic waters. Underground River – Aktun-Chen boasts one of the underground rivers the Yucatan is famous for. An incredible snorkeling location. Even if you can’t swim, fear not, you’ll stay afloat wearing one of the parks safety belts. Zipline – the park features a total of 4 zip lines connected by a system of secure suspension bridges to move between them. When zip lining, you can see the entire jungle spread out below in full splendor – a rare sight that can’t be compared to anything else. Atkun Chen isn’t the only cenote in these parts, in fact, there are hundreds. 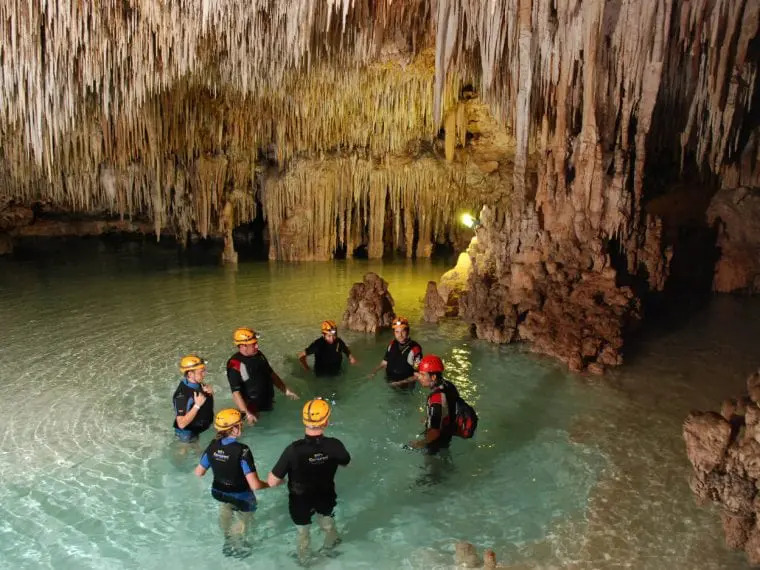 Do your homework on the different cenotes in the region and if you prefer the look of another simply make your own way there by taxi or bus, and pay the entry fee upon arrival; usually between 100-300 pesos ($5-$15 USD) depending on the type of cenote. I know what you’re thinking “Tulum isn’t in Akumal”. Yes, you’d be right, but it’s not far! Akumal is just a short journey away from the famous archeological ruins of Tulum. Not only that, but it includes roundtrip transportation, snorkeling (and the chance to swim alongside sea turtles if you’re lucky), plus a visit to one of the most beautiful cenotes in the area. Tulum Full-Day Explorer Tour runs daily, the total duration of the tour is approximately 7 hours, not including the time you need to get to and from your hotel. Pickup time is between 6:00am-9: 00 am and you will leave from the tour at 4:00 pm. In to spirituality? You’re going to LOVE this. Go beyond generic tours and do something incredible. Take part in an ancient ritual – a mayan temazcal ceremony! 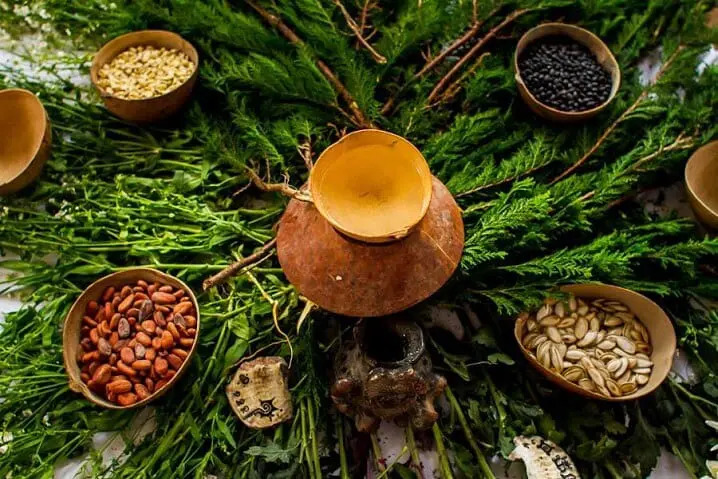 This sweat lodge experience offers you the chance to cleanse your soul and reconnect with yourself through a spiritual experience. 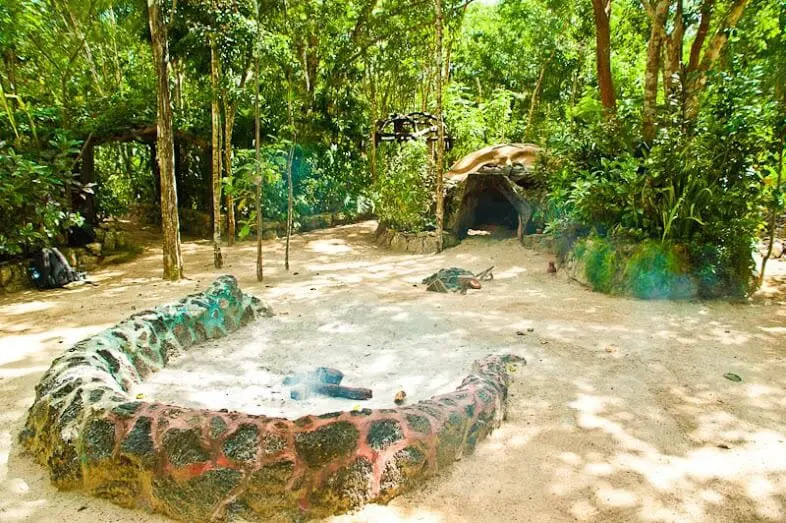 Surrounded by the lush Mexican jungle close to Akumal you can experience a sweat lodge or Temazcal as it is referred to by the Mayans. Your Mayan Shaman will perform a cleansing ceremony which is said to cure your body and balance your chakras. The temazcal experience is beneficial to your respiratory system, skin, circulatory, and nervous systems as well as on a spiritual level. Once the ceremony has ended you can relax and cool off in a beautiful cenote, where the water feels holistic to the skin. The tour is only for groups of 6 or more and runs every Wednesday and Saturday. Private temazcals are also available, just get in touch. If you can’t indulge in a spa day on vacation, then when can you? You’re in the tropics, treat yo self! How does a sublime massage on the beach sound, as you listen to the gentle lull of the rolling waves? Or how about a pedicure so your toes look even more beautiful in your sandals? Most of the hotels in Akumal, if they are a 4 or 5 star, will have an onsite Spa. However, sometimes these spas don’t always offer what it is you’re looking for. 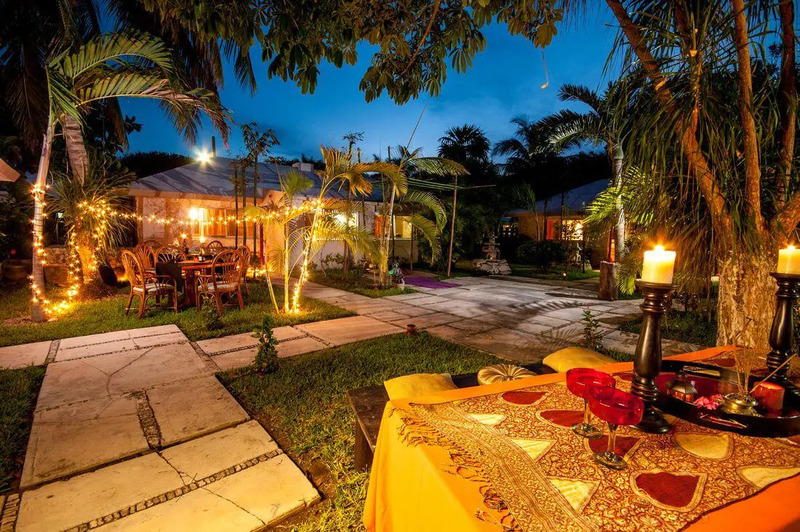 In Akumal, you’ll be pleased to discover that there a quaint place called Buhda Garden Spa! This a tranquil boutique spa just steps away from the crystal blue waters. With peaceful gardens, trickling fountains and intoxicating tropic flowers, it makes for a perfect place to receive professional spa services. If you want to truly unwind and relax look no further. You will leave feeling refreshed and rejuvenated. Always a good idea if you have had one too many tequilas the night before! The spa menu boasts a variety of invigorating spa treatments to choose from. Make this special place a part of your vacation, you deserve it! 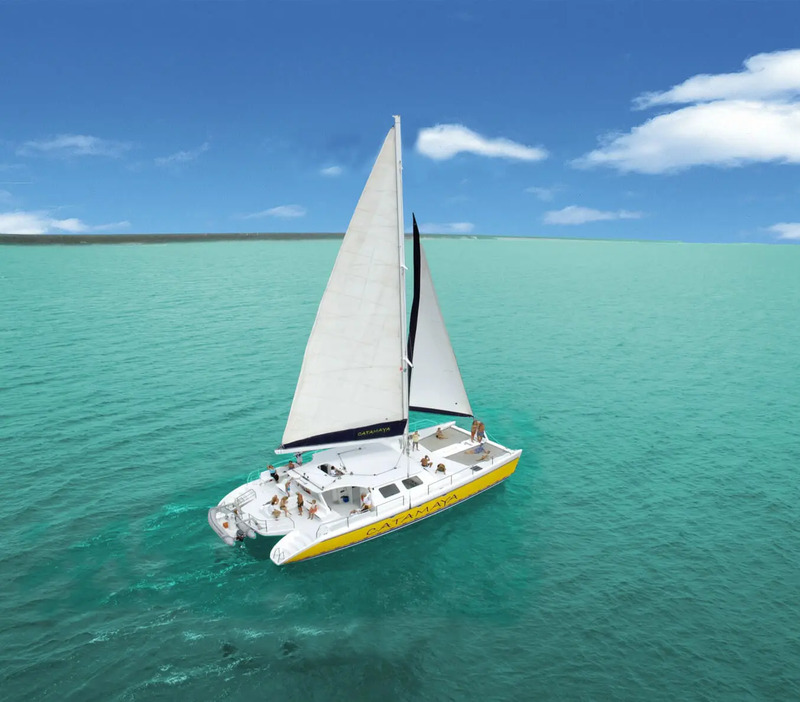 Nothing quite induces a sense of adventure than jetting off from the shore on a wonderful catamaran. It offers the chance to marvel at the Caribbean coastline from a new perspective, it’s not to be missed. It’s the only way to truly appreciate the vibrant marine life and snorkeling opportunities in this region of Mexico. Hosted by your wonderful guides you will be taken on a tour through the beautiful turquoise waters to the largest second barrier reef in the world. Enjoy drinks and either fresh grilled lobster or a New York Steak as well as a variety of side dishes and tropical drinks from the full open bar. It’s a first class meal at sea! This 4-hour tour also includes the opportunity to fish if that’s what you’re into, and a member of the crew will happily assist you (fishing lines provided). This tour runs from Monday through Saturday. Pick up from your hotel is between 8:00 am and 9:30 am depending on where you are located in the Riviera Maya and you can expect to be back at your hotel between 2:30pm-3: 30 pm. Exact pickup times are confirmed upon booking. Note: Round-trip transportation can be added for only $20 USD per person (same price for adults and kids). That’s the last thing you want to read while on vacation. While it rarely rains in Akumal, when it does, it pours! So, it’s always better to be prepared. The good news? Some of the best ADVENTURE activities are arguably better enjoyed in the rain. The intense heat in the Riviera Maya means that the rain is often a welcome break. Don’t worry, you definitely won’t be cold! Luckily for you, there are plenty of wonderful activities to keep you busy in this region. Rio Secreto – an underground river. Selvatica Gimmie All – the best zip lines in Mexico! Jungle Buggy – ATV adventure and cenote! Cinema – nothing beats cozying up with your friends and family to watch a film, plus Mexcian cinemas do the best snacks. Spa Day – make the most of the rain and pamper yourself while you can. For more inspiration read our blog things to do in the Riviera Maya when it rains. Who doesn’t love a little retail? In Mexico, you’re guaranteed to discover unique finds that you can’t get anywhere else in the world. It’s a country brimming with art and handicrafts, colorful jewelry and fashion, food, and more! 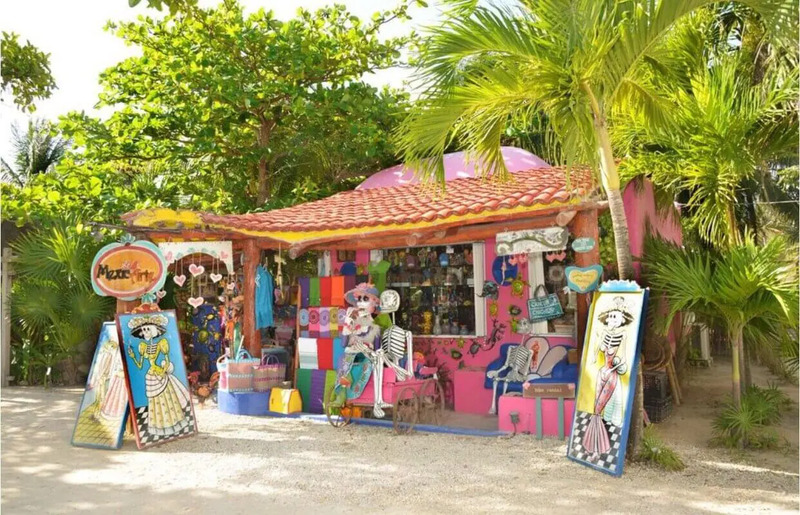 Why not spend half a day strolling around the small town of Akumal to see what you find. Mexic-Arte offers a wide variety of truly Mexican souvenirs made by individual artisans from throughout Mexico. If your looking for souvenirs this is the place to go! Items range from tiny, finely made model animals to large, unique original paintings. Everything in this cute shop is HANDMADE! Items are chosen by the staff in store and delivered to them by mail. Art Mavens will love it here! 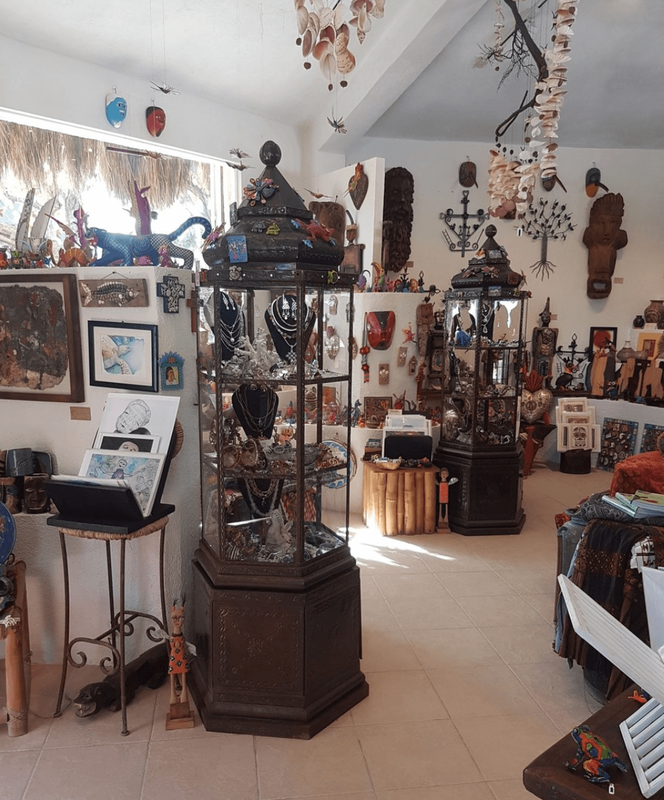 This beautiful and quaint gallery in Akumal showcases lots of Pre Columbian Art. Lamanai was created at the beginning of the 90’s as a promotional and sales project for Mexican Folk Art in the Caribbean, from Cancun to Belize. You’ll find lots of different pieces characterized by improvisation, personality, and feeling. Considering a destination wedding in Mexico? Not only will this cost you significantly less than it would in the U.S it will knock a traditional wedding out the park. One of the best things you can do in Akumal is get married! This location oozes romance, has an abundance of stunning locations and beaches, and the hotels here boast world-class service. You will be in the best possible hands. You’re probably thinking but ‘where do I start’? ‘How do I plan something so far from home’? 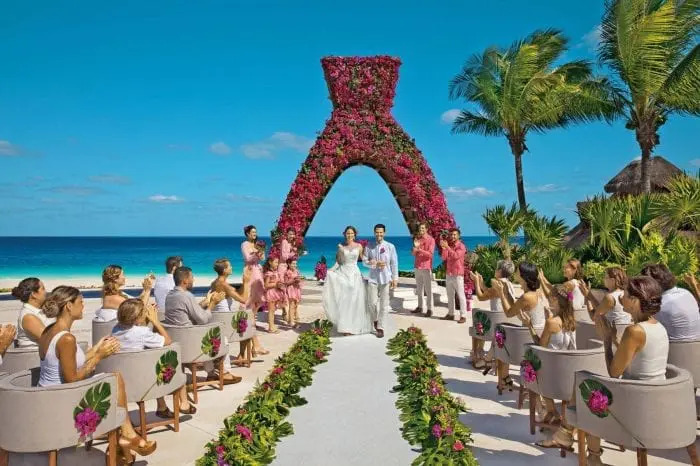 Here at PlayaDelCarmen.Com, we have a team of dedicated wedding planners helping couples like you to plan the wedding of a lifetime in the Riviera Maya. After finding out what you want, your budget, and an estimated amount of guests, we can narrow the search down for you depending on your vision. We’ll provide you with packages, custom-add on, locations, and more! At no cost whatsoever. 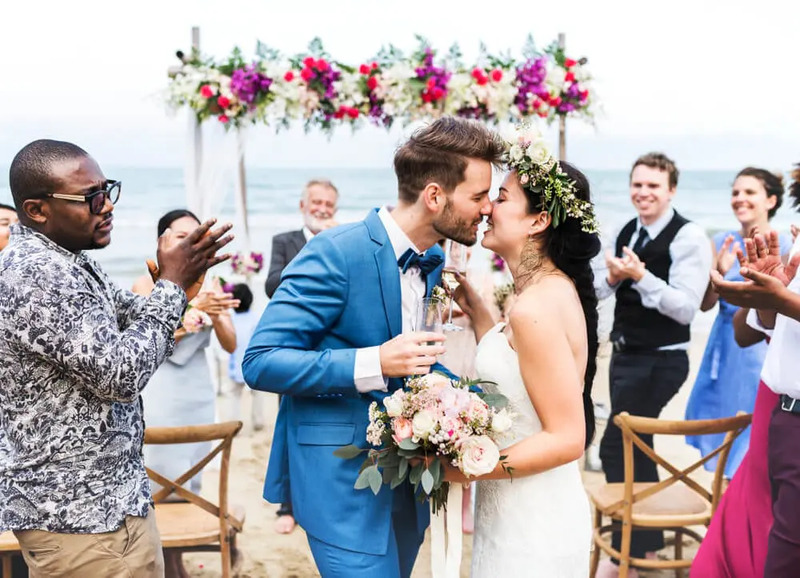 A wedding in Akumal would be an incredible experience for everyone involved. It’s affordable, easy to organize, and simply magical! Lucky you! You made it to the end of our article, know what that means? Discounts on everything! Here at PlayaDelCarmen.com, we can help you get the best deals on tours, hotels, and weddings in Akumal! Contact one of our expert vacation planners today for FREE and save big. Have you visited Akumal before? What were YOUR thoughts? We would love to hear from you. ? It’s one of our favorite towns along the Caribbean coastline, experience the best of it with us. Call us at 1-888-537-9797 or email us at customercare@playadelcarmen.com, we look forward to hearing from you! Hi! 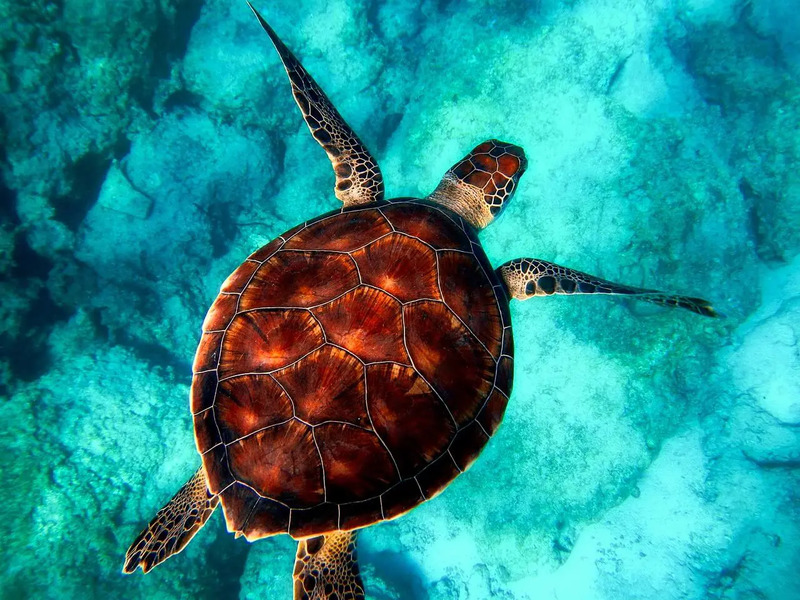 First of all, I wanted to say that this website is simply amazing 🙂 Regarding Akumal, if I am not mistaken, snorkeling/swimming with turtles has always been something for which Akumal beaches were famous. However, the government put some restrictions on the zones where people can snorkel and general access to the beaches. Is that true? How would you recommend visiting Akumal beaches to attempt snorkeling and seeing some turtles? 🙂 Thanks in any case! Hi Philip, thank you for your kind words it means the world! 🙂 Hopefully, my latest article on Akumal will help you figure out the best places to snorkel. https://www.playadelcarmen.com/blog/akumal/ Yes, you are right there have been times in the past where the government has limited snorkeling because of the turtles, however, if my knowledge is still up to date this has been lifted. Just be sure to wear biodegradable sunscreen or bug repellent before getting into the water with the animals. 🙂 You’re not always guaranteed a turtle sighting to just keep this in mind.